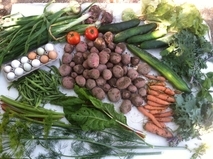 We grow food for our family and yours! We update facebook almost everyday. 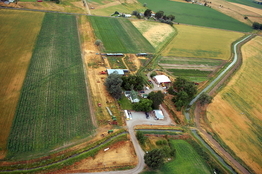 Like our page to see what's happening on the farm throughout the year! 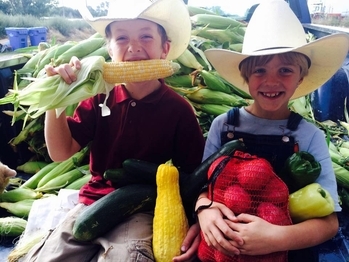 Our mission is to enrich the community through healthy, delicious, fresh produce grown right here on the farm; educate children and youth through summer programs; and offer opportunities for quality family fun late summer through fall as they play in the corn maze & pumpkin patch and learn about agriculture. 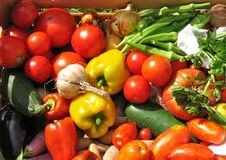 Pick up fresh produce and check out some AMAZING RECIPES! 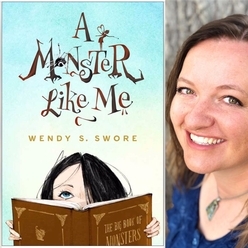 Wendy's debut novel, A MONSTER LIKE ME is based on her own experience growing up with a hemangioma (blood tumor) earned a starred review from Booklist who called it "In the vein of R.J. Palacio's WONDER." It is available for preorders now on Amazon.com and will be in stores March 5th. Hang out with us online! *	March - May 1st: Signups for CSA (Weekly Baskets) & Fresh Farm Eggs Available! $3/doz. *	May/June: (We may have some extra tomato/vegetable plants available for purchase. *	October: Corn Maze & Pumpkin Patch! *	November/December: - Eggs, Potatoes, & some Pumpkins. If you have any questions about what is in season right now, please call Wendy at 705-0991. We look forward to seeing you this year. We appreciate you! When is sweet corn ready? Good Question! Our best guess is mid-to late August. Swore Farms Sweet Corn Is Yummy! One of our hand-picked loads, fresh from the field. You can't get any fresher than that! In 2009, we picked corn from August 29th until October 4th. In 2010, we picked from September 4th until September 20th! In 2011, we picked from August 13th until October 11th! In 2012, we picked from August 10th until October 15th. In 2014, we picked from September 2nd until October 5th. It all depends on the weather. A late frost = a long corn harvest.